Have you ever watched someone playing the Wii without looking at the screen? They look quite ridiculous. 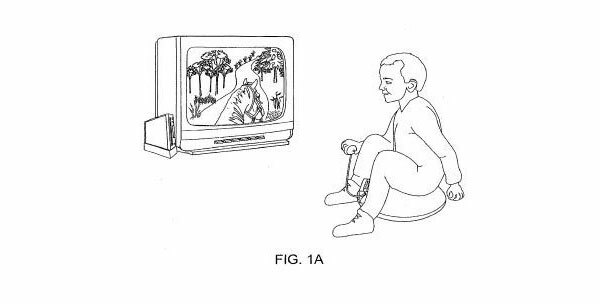 So now, Nintendo want us to ride either a pony, dolphin or gryphon in our front room/friends house/in public when we play their games. Call me mad, but I think I’d rather keep my dignity. Sure, it’ll probably be amazing for toddlers but you just know that you’re going to go over to your mates house and see him in his front room straddling an inflatable pony telling you it’s geat. It reminds me of when I was working in a department store and the Playstation 2 eye toy had just been released. I was bored and so I went to the electronics section and saw a couple of kids playing it. Eager to look cool I joined in. While jumping around waving my hands in the air like a fool, I heard my boss shout my name and say “What the f*** are you doing you idiot!”. Later in his office he said I looked like a pillock jumping around like that. I tried to explain what the eye toy was about but he didn’t care. hmm, i agree. your experience is convincing. it looks really weird to ride a pony. Yeah, riding a pony is weird but what about riding a gryphon?!? !